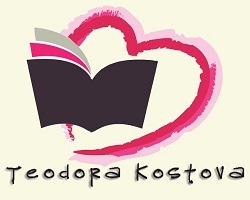 I am a big fan of Ms. Kostova's novels, and this is an excellent addition to her list. It is refreshingly different, and hopeful without being sugarcoated. I don't always read the preamble, but happened to in this case, and was moved by her words. At the heart of the story is the opportunity for redemption and a future. It may well be different from the past, and may require a lot of self-forgiveness, but it is possible. And that hope, and the determination to do it is key. It is also a beautifully simple love story, which acknowledges that no one has an entirely blameless past. I loved the side characters and what they brought to the page – Rose, Ruby, Frank, even Josh. Aiden was very important, and it was impossible not to sense his longing, which compelled him to leave. Ben and Finn learning about each other, and moving forward with their relationship and life, was intense and yet light. 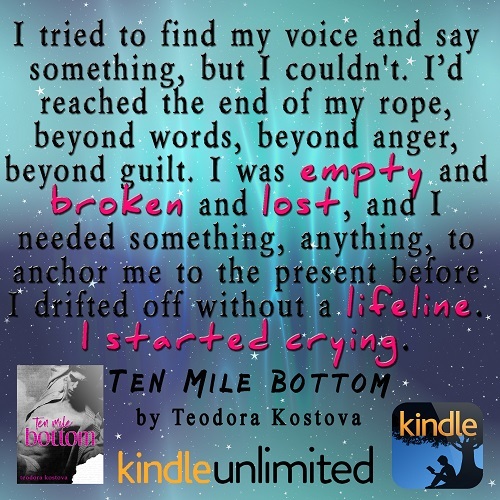 Ms. Kostova often writes about dance, and I think of her writing as being just as fluid. It weaves across the page with lovely pace, and twists and turns, making a rich and lyrical experience for the reader. It was not difficult to see what would happen, but the story-telling retained magic and mystery to the end. 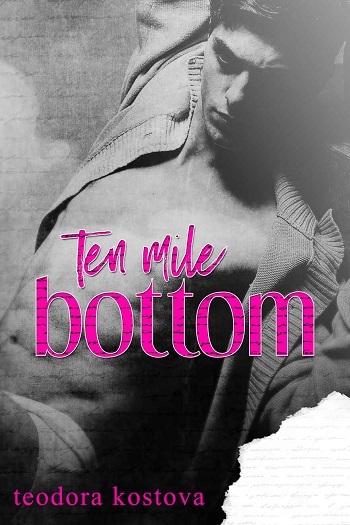 Reviewers on the Wicked Reads Review Team were provided a free copy of Ten Mile Bottom by Teodora Kostova to read and review.